Whew! This is one of the hardest scenes I've ever created. The Country Church scene took months of planning. Our artist Ginny painted this scene and the end result was stunning. When I received the painting I was overwhelmed with the amount of work that it would entail. I tacked the painting on my art wall and there it sat for a few months. Everyday I would look at it and say to myself, not today! Inspiration finally struck and I set to work on it. I decided to create a 9-block tile scene. Choosing the colors was the most difficult step; I chose a lot bright colors to make the design really pop. The end result was only 29 colors, can you believe it, and the finished project looks like so much more. I decided to create the design mainly using hand-digitizing techniques. Each block took more than a day to hand-digitize. When all of the designs were finished there were more then 8,000 segments in the design. Every time I digitize a section that is called a segment. 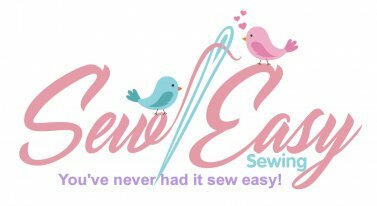 The average embroidery design has around 100 segments. My tile scenes usually have between 2,000 and 4,000. So as you can see a lot of work went into this design. I am more than pleased with the end result; I am never sure what a tile scene will look like until it is sewn together. The Country Church looks like an actual painting. You will love it! There is a detailed tutorial included. There are four different sizes of the design included. We created our project using the middle size. 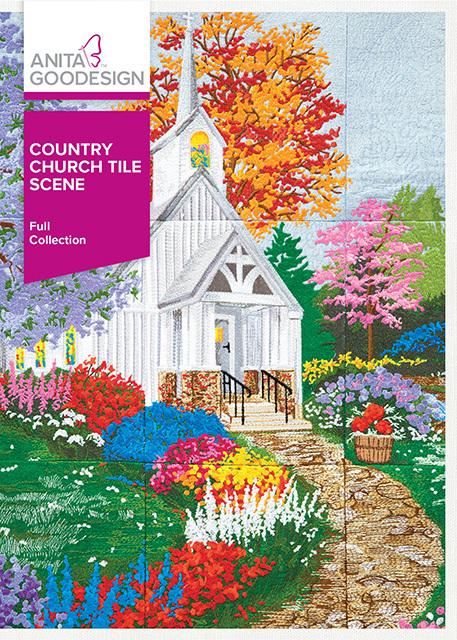 I hope you love creating the Country Church Tile scene as much as I did creating it!